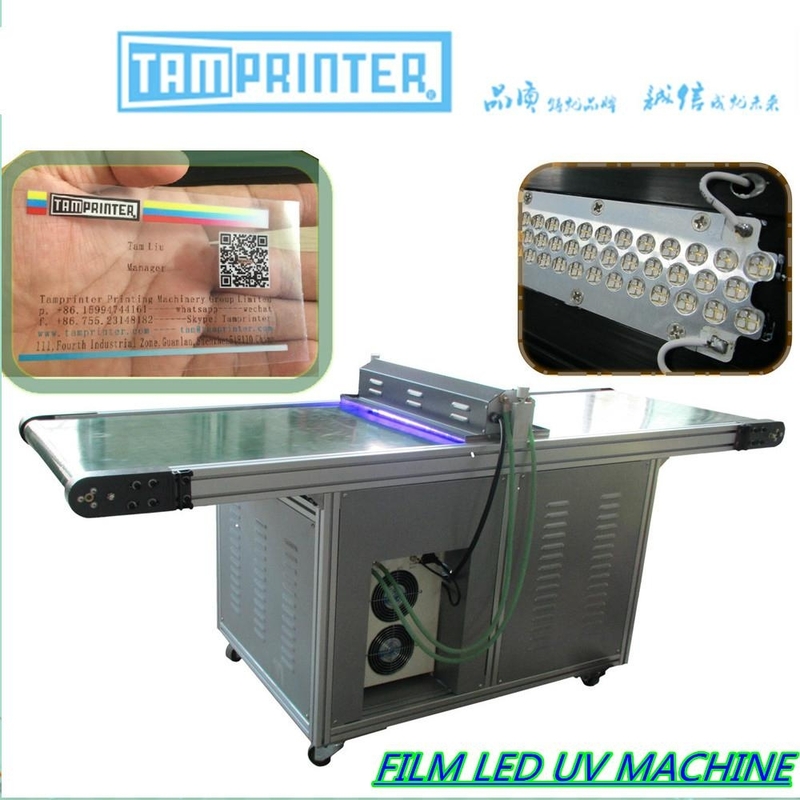 UV LED curing is a kind of UV curing, which uses UV LED light source to cure UV ink, UV glue, UV coating and the like. It is well known that ultraviolet light (UV light) was successfully promoted to commercial applications more than 30 years ago. Each adhesive manufacturer has developed a series of UV products for bonding, sealing, printing, etc. for UV curing characteristics, and is widely used in communication, electronics, optics, printing and many other fields. These products cure or harden (polymerize) under UV light (a certain wavelength and a certain light intensity), and are more efficient, energy-saving and environmentally friendly than conventional products - UV light curing. The equipment has also undergone continuous research and development and improvement. The production process in which mercury lamp irradiation is the mainstream has been used for a long time. However, due to the high cost of equipment, high maintenance cost, fast attenuation of UV light intensity, defects in surface temperature of the irradiated components, large volume, expensive consumables, mercury pollution, etc., the industry has been working hard to improve, but due to the limitations of the original hardware Hard to break through. The advent of UV LEDs has revolutionized the UV curing industry. It has constant light intensity, excellent temperature control, portable and environmentally friendly features, relatively low procurement cost and almost zero maintenance cost, which promotes the quality improvement and energy saving of the UV curing process. UV LED point sources, line sources, and surface sources have begun to be used in various industries. We believe that through the joint efforts of the whole industry, the future UV curing industry will certainly have a new world of environmental protection and energy conservation. Compared with the traditional UV curing equipment, the mercury lamp has a service life of only 800-3000 hours, and the UV LED UV curing system has a service life of 20,000-30,000 hours. The LED method can be lit instantly only when ultraviolet light is required. When DUIY=1/5 (preparation time=5 irradiation time=1), the service life of the LED method is equivalent to 30-40 times that of the mercury lamp method. Reduced lamp replacement time: increased productivity and energy savings. However, when the conventional mercury lamp curing device is in operation, since the mercury lamp starts slowly and the opening and closing affects the life of the lamp, it must be always lit, which not only causes unnecessary power consumption but also shortens the working life of the mercury lamp. High power LEDs are not emitted from infrared light. The surface temperature of the irradiated product rises below 5 °C, and the conventional mercury lamp type ultraviolet curing machine generally raises the surface of the irradiated product by 60-90 ° C, causing the positioning of the product to be displaced, resulting in defective products. UV-LED curing method is most suitable for heat sensitive and high precision bonding process requirements such as plastic substrate, lens bonding and electronic products, fiber optic cable. The traditional mercury lamp curing machine adopts the mercury lamp illuminating method, and the mercury in the bulb is very troublesome for waste disposal and transportation. The improper treatment may cause serious pollution to the environment. 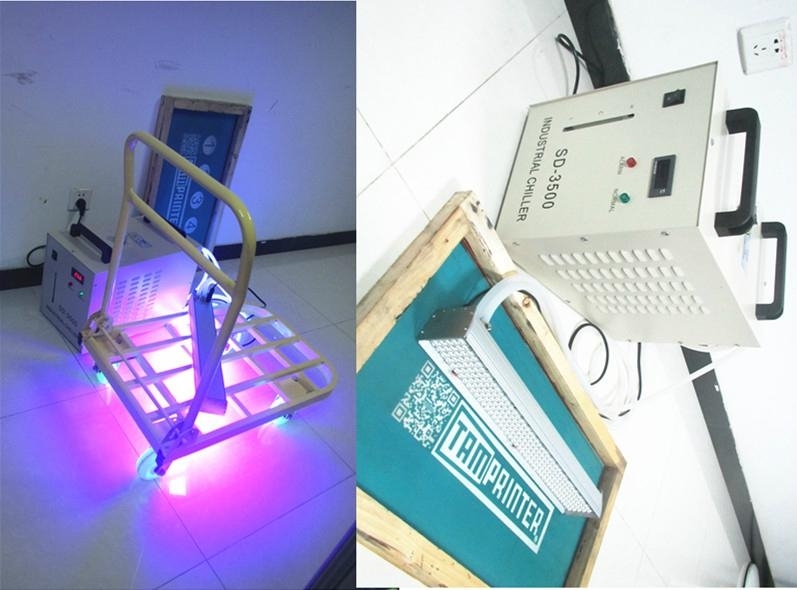 The LED curing machine uses semiconductor light, and there is no environmental pollution. Therefore, the use of LED curing machine is more environmentally friendly. Using high-power LED chips and special optical design, the ultraviolet light achieves high-precision, high-intensity illumination; the ultraviolet light output reaches 8600mW/m2. Using the latest optical technology and manufacturing process, it achieves high-intensity output and uniformity that is more optimized than traditional mercury lamp irradiation methods. It is almost twice the illuminance of traditional mercury lamps, which makes UV adhesives cure faster and shortens. Production time has greatly improved production efficiency. In the conventional mercury lamp mode point source curing machine, when the irradiation channel is increased, the increase of the channel causes the output energy of the single illumination channel to decrease. With LED-type illumination, each illumination head emits light independently, and the illumination energy is not affected by the increase of the channel, and is always kept at the maximum value. Due to its extremely concentrated illuminance, UV LEDs reduce the exposure time and increase productivity compared to mercury lamps. The UV LED method is more than 10 times more efficient than the mercury lamp method. It can be seen that each unit can save thousands of dollars in electricity consumption per year. Not only that, by saving energy, each year can indirectly reduce carbon dioxide emissions by 1.4 tons, equivalent to one car's annual displacement. The size of the LED curing machine is only 1/5 of the size of the traditional curing machine, which makes the installation of the equipment simpler and reduces the footprint of the production site. From circuit design, optical design, system optimization to component selection, ST-LED's consistently high reliability design concept is adopted to ensure the stability, reliability and consistency of the equipment. At present, there are mainly UV-LED point light source curing machine, UV-LED line light source curing machine, UV-LED surface light source curing machine, portable UV-LED curing device. UV glue bonding makes economical automated assembly of medical devices easier. Nowadays, the advanced LED UV light source system, which can cure solvent-free UV glue in a few seconds, as well as the dispensing system, makes an effective and economical method for consistent and repetitive bonding of medical device assembly processes. The optimization and control of UV light sources is very important for the manufacture of reliable medical devices. The use of UV-curable glue offers many advantages, such as lower energy requirements, saving cure time and location, increasing productivity and making automation easier. UV glue is commonly used to bond and seal medical devices that require very high quality and best reliability. UV glue curing is typically applied to medical device assembly, such as the need to bond 1) different materials (or different mechanical properties) 2) the material is not thick enough to use the welding method 3) pre-produce the parts. .
1. Passive components (wavelength division multiplexer WDM, array grating waveguide AWG, optical splitter SPLITTER, optical isolator ISOLATOR, optical coupler COUPLOR, etc. ), various glass package structures for bonding or potting, fixing of small components Wait. UV analyzer, biological genetic engineering, molecular genetics, medical hygiene, biological products, pharmaceutical research, health and epidemic prevention, dye chemical, petrochemical, textile industry, public security and political law department, cultural relics and archaeological department, all departments that need to carry out fluorescence analysis and verification be usable. 3, ultraviolet light therapy, medical applications, such as: dental curing, vitiligo treatment, wound compounding and so on. 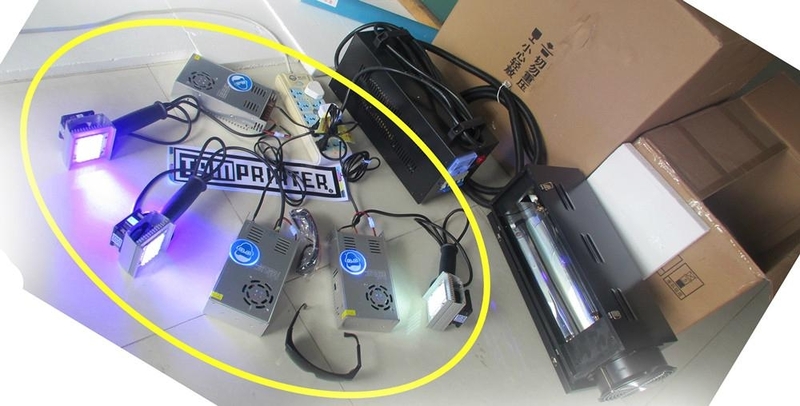 5, criminal investigation light source, with high-power LED, can emit a uniform intensity of light from 365nm to 780nm, from ultraviolet, purple, blue, green, blue, yellow, orange, red, to the infrared band, can provide 12 bands The light and includes a white light. 370nm - almost invisible, showing a dark dark purple when filtered by wood glass. The role of light: photosynthesis, photodynamic action, photocatalysis, light transmission, photothermolysis, photocuring, photocatalytic action, photoprotection, phototoxicity, photoinactivation, photoreactivation, light promotion Function, light development, light whitening, photooxidation, photoactivation, light stabilization, photoinhibition, etc.